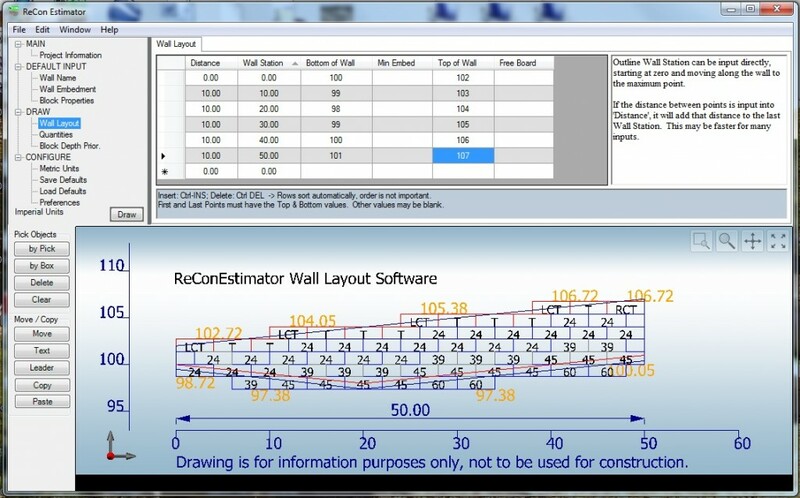 ReCon Layout Software (ReConWall) is an intelligent tool constructed for use by wall design engineers and contractors. With multiple layout options you can quickly and easily construct a wall layout, determine the sq.ft. of the wall and the quantity of blocks you’ll need. 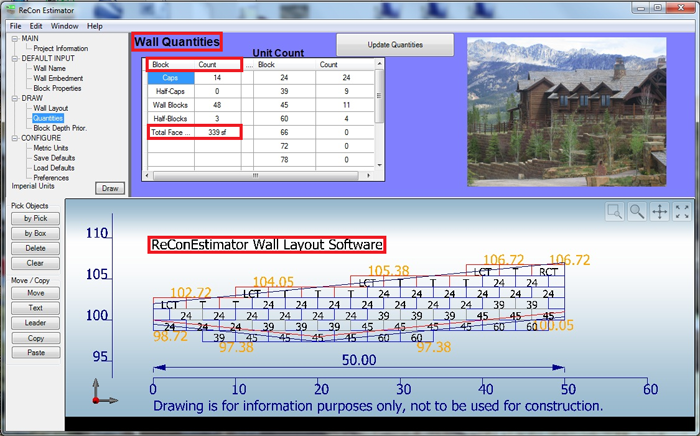 You can also easily export your completed wall image to AutoCad. Layout options include TOW, BOW, Freeboard, inside & outside corners and full top or capstone finish detail. All ReConWall software is free to download, so get your copy today!